Bamburi is a long continuous sandy beach located along the turquoise waters of Mombasa Marine Park Reserve. On Bamburi Beach the sea is warm, calm, with gentle soothing waves and a cool whispering breeze. The beach is flat, creamy white sand. In the far distance ships glide in and out of Mombasa harbour, while you relax on a deckchair watching the tide roll away - here the ocean retreats almost half a kilometer between high and low tides. There are two main sections… Bamburi Beach, which is mainly occupied by private hotels and Kenyatta Beach popularly known as Pirates Beach - the largest public beach in Mombasa. Pirates Beach is a magnificent public beach and a popular destination for beach lovers who want plenty of socializing and to experience a wide variety of entertainment. Just make sure you have your camera ready to capture your most amazing moments at the beach! The beach is usually occupied by numerous hawkers and vendors who sell various kinds of wares and services such as second hand clothes, swimwear and beach paraphernalia, artifacts, decorations and other interesting bric-a-brac. Other vendors act as custodians of your personal belongs when you want to take a swim in the ocean. Since there are many stalls offering the same service, you will need to note well which one you leave your items with. They also have changing booths where you can change into your swimming costume. There are no public showers to wash-off sea sand after swimming but you can clean the sand off in the private changing booths. You can’t go hungry here, numerous eateries line the beach with plenty of food and drinks at affordable prices. If you need to sit down, there are plenty of chairs but they are not for free. You’ll have to buy either a drink or a snack to be allowed use them, if not you pay a small fee. Pirates Beach is a beach that never goes to sleep. There are night clubs and vendors who stay operational till morning. People come to relax or party by the beach until very late at night. The Red Cross Rescuer & Emergency Centre at the beach closes at 6 p.m. and people are cautioned not to swim after they blow the evening whistle. Most beach activities here are operated by beach boys or they act as dealers for boat operators. 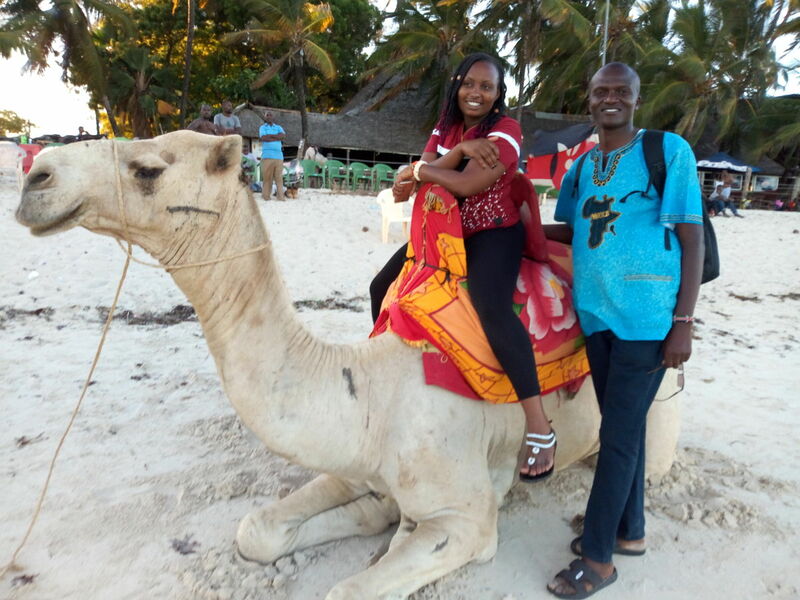 Camel/horse rides and Marine Park tours are the most sought after. Whenever they notice you are new here, they usually quote high prices and others gather around you to convince you that that’s the best offer you can get. Don't believe them and don’t take the first offer! Bargain for a much better price. Staying at one of the resort hotels? Most hotels organize short boat trips to the Mombasa Marine Park Reserve. 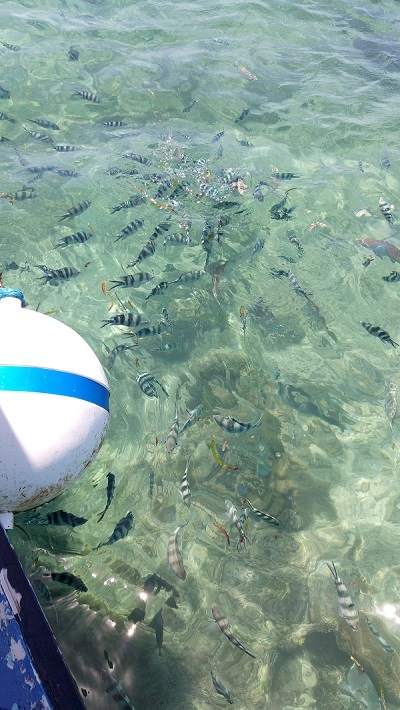 Watching the sea below on glass boats and seeing diverse, beautiful coral marine life is a magnificent spectacle. For a snorkeling safari to the Marine Park, you can book with your hotel, or the guys on the beach. It is an amazing experience; discovering the wonderful world under the sea while you feed and play with the friendly fish. Bamburi is a water sport haven, especially in the afternoons when the tide is high. There are lots of exciting fun activities you can undertake like scuba diving, speed boat racing, traditional sailing, surfing, jet skiing and much more. The entire beach is protected by coral reef about a 2kms off shore. On low tides, the reef helps create shallow and calm seas - perfect for swimming or short boat trips onto the reef . Almost the entire beach front is lined with restaurants, bars and hotels ranging from standard to luxury. You can access the beach through the private hotels, that’s of cause if you are their guest or use one of the few public routes to the beach… if you just coming to explore and enjoy the beach. Some of the wonderful hotels and restaurants to visit along Bamburi Beach include Sarova White Sands Beach Resort, which recently received World Luxury Hotel recognition awards, Travellers Beach Hotel & Club, Bamburi Beach Hotel, Severin Sea Lodge, Neptune Beach Resort and Yul's Restaurant. Us, piicking up some bargains at the beach. 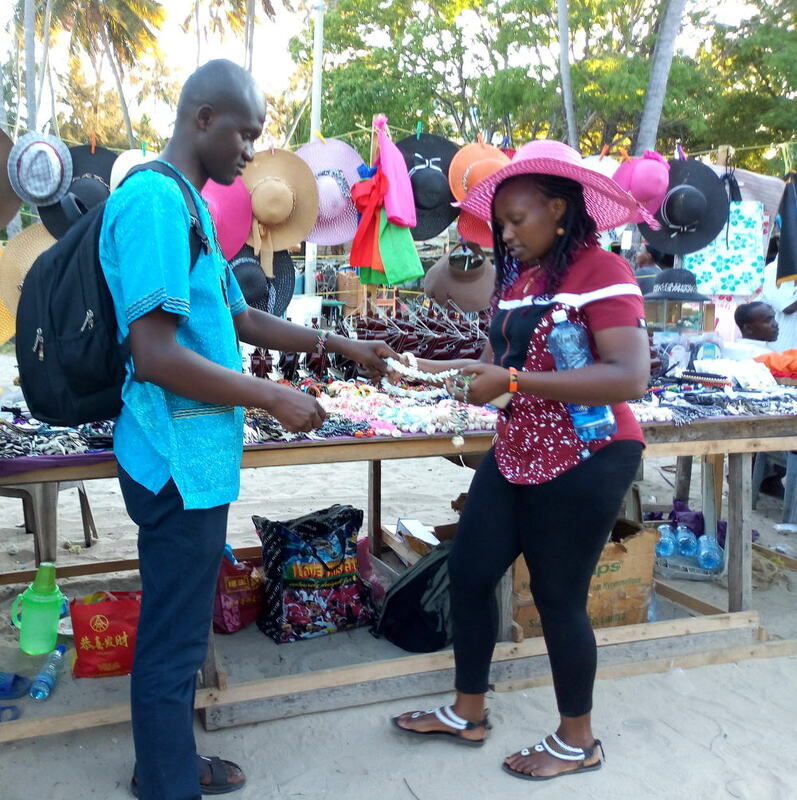 There is quite a lot of interesting merchandise sold at the beach that you can buy as a reminder of your time here such as oil paintings, African craft items, curio bracelets and necklaces… just to mention a few. Although they are usually friendly and helpful, sometimes the beach boys can be a bit of a nag, especially when they come in their numbers and each is trying to convince you to buy their product or service. If you are willing you can trade. There is no fixed price, bargain for a cheap price and if you have a local guide, you can get some very good bargains. Bamburi Beach is located on the north coast, along the Mombasa-Malindi road and opposite the Bamburi Cement Factory. It borders Nyali Beach to the south and Shanzu beach to the north. With little traffic it takes approximate 20 minutes to get to Bamburi beach from Mombasa city or Mtwapa town. If you are from the neighborhood, you can use one of the many access points heading to the beach. The beach is also close to other exciting recreational attractions like the Bamburi Nature Trail, Bamburi Haller Park, the Butterfly farm and shopping malls. At certain times of the year, there is soft seaweed on the beach that can be a bit unpleasant especially if you want to relax or swim by the shore. However, the sea usually cleans them off naturally especially around the months of October to April. Some hotels too have joined hands to clean the beach but protected reserve areas are not interfered with. Bamburi Beach is usually a busy beach and quite crowded. Especially on weekends and holidays in December and January, families and tourists head to the beach to enjoy and unwind after a busy week; so do the traders and beach boys who want to cash in from the high numbers of visitors. Unlike the public beach, there are areas where hotels have private beaches and they are less crowded. Where else can you relax on a tropical beach in the morning and see wild lions after lunch? Kenya safari and beach holidays offer just that. 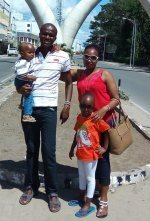 My name is Dennis Mutune and I am the owner of this site. I created this website out of the love and passion I have for my home Kenya, African Bush, wildlife and adventure. 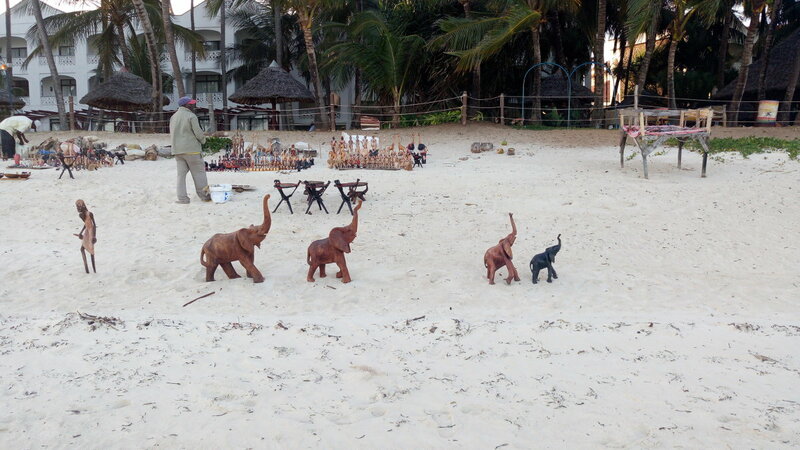 Beach-combing with the Kenya Beach Holidays Page. We've all the most beautiful beaches for you right here. You won't find long lists in our Malindi, Watumu and Mombasa Kenyan Hotels Guide but be assured that none of these hotels will disappoint. Copyright © 2016 - 2018 ShareMyKenya.com. All rights reserved.